This is a miniature urn and is intended to hold only a small portion of cremains. Its maximum volume is 75 cubic inches. 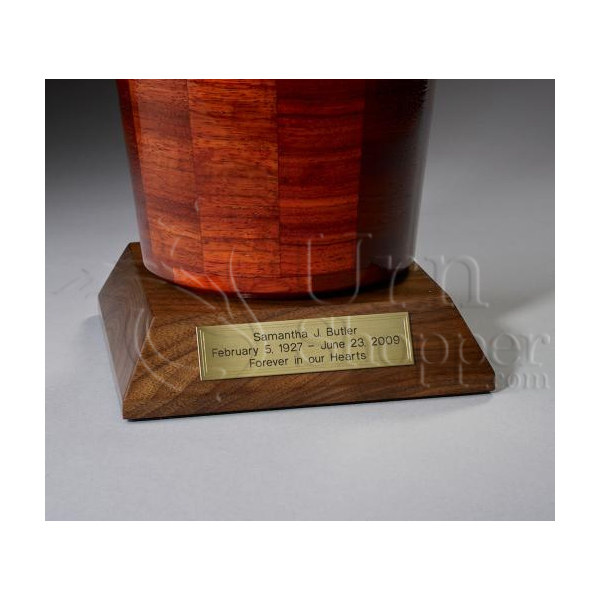 The Almighty hardwood keepsake cremation urn is crafted from black walnut and exotic zebrawood in the shape of a contemporary-style vase. It has a top-opening lid. Keepsake and token remembrance cremation urns are miniature urns that are designed to hold only a small portion of ashes, or cremated remains. 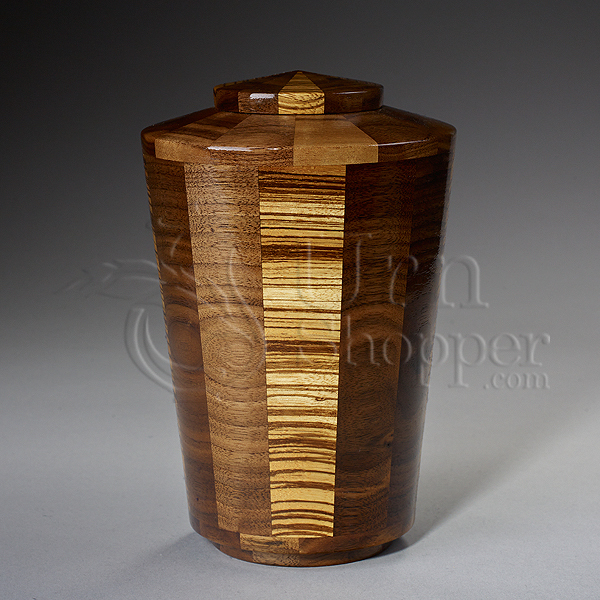 Keepsake urns are medium-sized and token urns are the very smallest cremation urns. Keepsake and token cremation urns make it possible for family members or friends to divide up the cremated remains so that each person can have an urn. If the cremated remains are to be scattered, keepsakes and tokens also make it possible for loved ones and friends to retain a small amount of cremated remains to be scattered later or kept as a permanent memorial. Keepsake and token cremation urns can be kept at home, entombed in a cemetery columbarium niche, or buried in an earth grave. Please note some cemetery regulations may require that this urn be placed inside of an urn vault prior to earth burial. A free pedestal with name plate engraving included.